"Riverfields" is a grand estate designed by famed architect Henry Hudson Holly on over 8 acres of property. This magnificent estate has extraordinary construction & exquisite architectural details in perfect condition. The interior has a warm ambiance and a comfortable layout for today’s family and is finished to an extraordinary standard throughout. 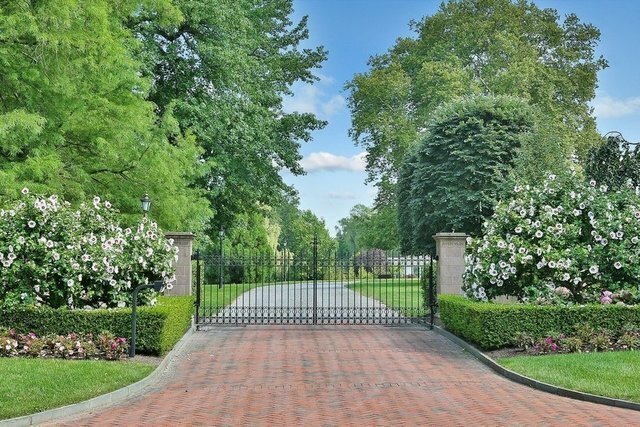 Featured in many books and articles, Riverfields is one of New Jersey’s finest estates. The guest house has a living room, dining area, newer kitchen with 2 or 3 bedrooms and 2.5 bathrooms, as well as two car garage. The grounds include a beautiful salt water pool & spa with a professional grade Har-Tru tennis court. Close to local beaches and fast ferry service into New York. All room sizes are approximate.